Dr Helmut Marko says Red Bull are “not looking behind” to Ferrari and have their sights set on Mercedes. The positive vibes from pre-season carried through to the first race of the season in Australia for Red Bull-Honda. Perhaps not from Pierre Gasly’s side of the garage, but from Max Verstappen after he managed to overtake Sebastian Vettel to clinch the final podium spot. 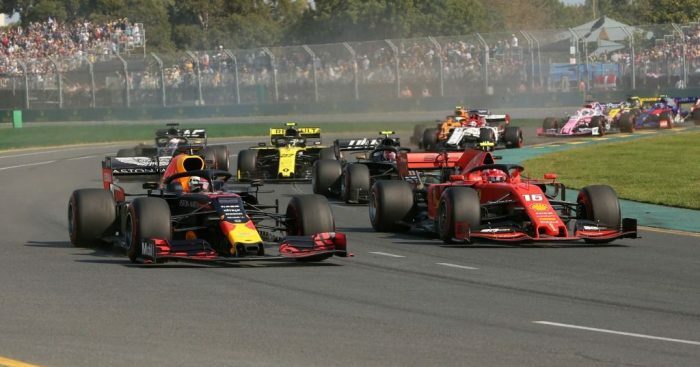 And Red Bull’s ever outspoken motorsport advisor, who had Ferrari at the top of the pecking order after winter testing, now thinks the Scuderia are in the team’s rear-view mirror. “We kept the distance to Mercedes within respectable limits,” Marko said. “We are not looking behind us to Ferrari now. “For us, first place is always the bar, so we look forward. “We want more than third places. But the team is on the right track, and if we talk about pace, then we were on equal terms with Hamilton. “Now we have to work on the chassis as fast as possible. “We need more downforce, because we’ve built cars with as little downforce as possible in recent years so the drag is not too great. “But that’s not the problem anymore. He added to Speed Week: “It’s encouraging for the future that we did not get a single warning on the engine side throughout the race. Marko also once again mentioned Verstappen’s title credentials this season, saying the RB15 will give him a chance to battle for silverware. “Max started the season very well,” Marko added. “That is how you win titles, by achieving the optimal result and scoring points.